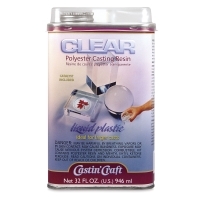 Pour Clear Polyester Casting Resin into any mold to make a paperweight, or sculpture. Casting resin is a crystal clear, low viscosity liquid that requires mixing with a catalyst to become rock hard. 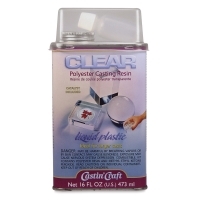 Clear, colorless liquid, very low viscosity. 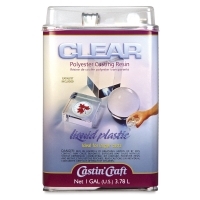 Usually added in quantities of 0.5% to 3.0% of weight of resin for curing. Store in a cool place, keep tightly closed. 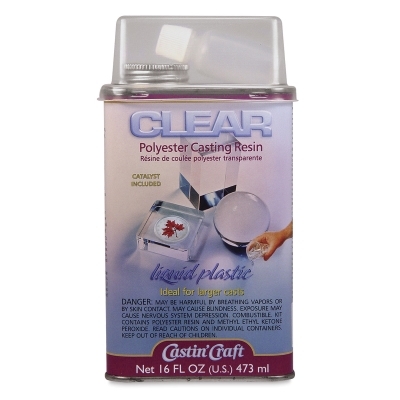 Purchase ½ oz for a pint or quart of resin, and 1 oz for a gallon of resin.